 A very contemporary kurti by Ritu Kumar, made with silk taffeta. The silk printing on this indigo and black piece is inspired by block printing motifs called Ajrak, originally from Kutch. Combining this traditional print with this modern high-low hem silhouette looks very interesting and can be paired with leggings or cigarette pants.